Hey folks! Well, we are in the final countdown to my much-anticipated wedding. It’s this Sunday and I will have a full report for you, along with pics of my hair style. I’m heading over to Arté Salon today to practice the style one more time with Amy, and then I’m on my own. She doesn’t do wedding hair, but has been practicing with me so that I can feel more confident doing it myself up in the mountains on the big day. I was reassured recently that I’m doing the right thing by styling my own hair at the wedding — no one has ever given me a fancy hairstyle that I like. Gotta take it into my own hands! Before we get to all that, of course I have also been prepping my hair for the grand occasion. This includes split end trims (done in my bathroom at home, of course) and lots of conditioning, but most importantly, I’ve been going to Bliss Spa (Soho, NYC) for face and body treatments and I always add my favorite indulgence — Hair Dew. It is by far the very best hair treatment that I’ve ever had. The good news is, I’ve slowly broken down my treatment specialists and I HAVE THE RECIPE! It’s not expensive to get it done at Bliss, it’s about $35, so I highly recommend it if you ever go because they do a nice head massage. However, you can only get it as an add-on to other (more expensive) services. Start with dry hair, and it doesn’t matter how clean or greasy it is. First apply the Scalp Treatment. This comes with a pipette which is used to apply the stuff directly to your scalp. Use one full pipette per treatment. Place tip directly on scalp at varied locations and squeeze some out in each spot. My experience has been 7-8 sites on the scalp works best. Next, apply the Radiance Mask throughout hair. Lastly, apply the Hydrating Cream to the ends. Experiment with how much you use, based on hair length and thickness, but err on the less-is-more side since this stuff is $$$. Once all has been applied, rub your scalp and give yourself a nice massage. If your hair is long or not staying put with all that cream in it, tie it up with an elastic band (alternatively — a less harsh tie that works well is the ends of sleeves on old t-shirts. Just cut them off in inch-thick strips and you have a round elasticy-but-soft hair tie.) Put on a shower cap or tie a plastic bag over your hair if you’re on a budg or like to upcycle. If you’re super attentive, put a heated cap or hot towel over your hair to open pores for better absorption. Let this whole thing sit for 20-30 minutes. You may also decide to sleep with the treatment on, which is what I do. Up to you! Take the heated cap or towel off before sleeping and tie a bandana or old scarf over your shower cap to keep it on straight and avoid staining sheets and pillows. 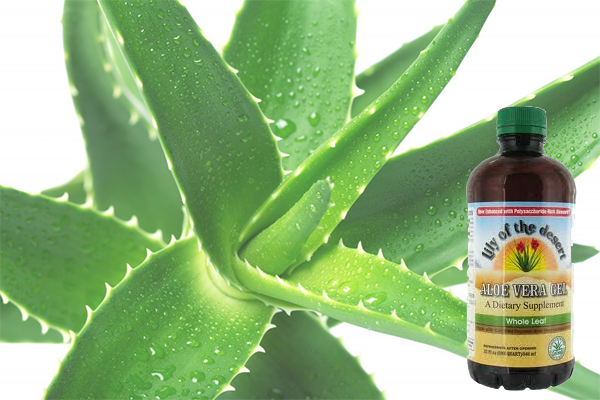 Wash out the whole mixture with 4 tablespoons lemon juice and equal parts conditioner, massaging into scalp. I’d suggest your least expensive conditioner for this step since it’s not in your hair for long, and its main purpose is to tone down the acidity in the lemon juice. Note: This will not make your hair blonde because you will thoroughly wash it out immediately after applying. Think of it as a shampoo. Do not leave it on for more than a few minutes. Voila! Your hair will be silky and amazing. I do this maybe a few times a year since it’s so expensive and is a lot of work. I’d suggest doing it a few days before any big event. Your hair has never been so shiny, believe me! One final note: Do not shy away from products that are for color-treated or very damaged hair even if yours is not. These just have more concentrated amounts of the good stuff and your hair will absorb it just as much as damaged strands. If you are ever choosing between two similar conditioning products and one is for damaged hair while one is for normal/dry, go for damaged. Visit NaturallyCurly.com for more hair oil ideas! In the name o f treatments and laughs, a tribute to one of America’s sweethearts. Thanks for everything you’ve contributed, Mr. Williams. You will be always be remembered. Who could forget the pie treatment mask? I’m so excited to announce a new product that I’ve tested and absolutely love! As you may remember, it’s important to rotate all of the products you use, which are basic non-damaging cleansers (WEN conditioning cleansers, DevaCurl No Poo, DevaCurl Low Poo, lemon juice and conditioner equal-parts mixtures), conditioners (DevaCurl One Condition, Ouidad Curl Quencher Conditioner, Argan Oil conditioners, Avalon Organics Volumizing Rosemary conditioner, Aussie Moist conditioner, etc. etc. etc. and yes I have all of these and more in my shower right now), and styling products. We’ve discussed cremes, gels, mousses (meese? ), you name it. I’ve found that a light gel works best for my hair type. Until now I’ve mainly been using DevaCurl’s Angel and Ouidad’s Climate Control gel because both are light hold. HOWEVER! My hair has been looking stringy and angry lately, despite oil treatments and my tender lovin’ care. I saw a brand I’d never seen before when researching my hair type on Naturallycurly.com. [Btw people — check them out! You take a quiz to determine your curl/hair type, and then you can read all about other members who have your hair type and what products they use, how they style it, and much more. It’s like a Pinterest board of curly hair care. My type is 3a, and they corroborated my findings that a light hold gel is my hair’s bff]. 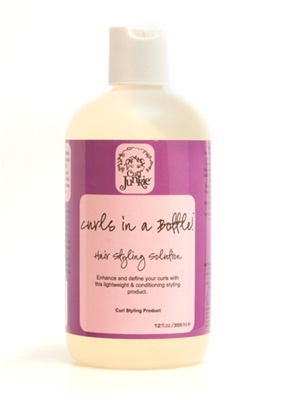 This fabulous new gel is called Curl Junkie’s Curls in a Bottle (pictured above), and it was being used to demonstrate a DIY sea salt spray (if you haven’t seen this yet, it means you need to like my Facebook page). I just knew I had to try it immediately.. and yes!!! It worked! It’s highly conditioning with no harmful ingredients and was so light it looked like water. Since my hair can’t handle heavy hold gels, it’s perfect! While I was at Ricky’s picking it up, I heard a young woman asking where she can find leave-in conditioners for naturally curly hair. The straight-haired lady behind the counter was directing her when I intervened and said, “NO! You don’t want to buy a product labeled as a leave-in conditioner. You just want a really great quality conditioner, and when you’re in the shower apply it, concentrating on the ends, after you’ve cleaned your hair. Then stand with your head falling back under the nozzle and let the water rinse out maybe 20%-50% of it.” It only takes a second for most hair types/shower pressures. So let this be a reminder to you all: leave-ins are meant to be diluted conditioners, but because they’re made to be stocked on store shelves for a long time and also because people want their leave-ins to feel smooth and not thick or sticky, they load them up with lots of alcohol and other drying, damaging ingredients to make it evaporate faster. Kind of counter-intuitive, no? Just use a quality conditioner that you already have and water it down yourself in the shower. I saw the young woman head over toward DevaCurl’s One Condition per my suggestion, and my only regret is wishing I had creepily followed her to fully ingratiate her into the world of naturally curly hair care. But alas, I left her to her own devices and hope that she’ll find CurlyNikki.com or NaturallyCurly.com or even my little ol’ blog. So girl at Ricky’s, this post goes out to you. Remember friends: As curly girls who have wrestled with the wave, contended with the curl, kerfuffled with the kink, it’s always our duty to spread the knowledge and love. Mentor new curlfriends and gain the satisfaction of knowing that you’re a big part of making this world a happier, healthier, prettier, and slightly more genuine place. Editor’s note: This is an unusual post for Curly Q&A, and it is one that I’ve spent considerable time contemplating. I aim to walk the thin line between helping men and women to accept their natural selves, and unwittingly convincing them that there is something wrong with them. My natural inclination is to do as little as possible to alter my appearance, while still appreciating it, which was the entire basis of this blog. Despite this, I’ve become increasingly aware of some major hair-related phobias streaming through the curly-headed minds of the strong women around me — the foremost being thinning hair. We’ve all heard about men’s hair loss, and it is much more socially acceptable — not completely of course, but more-so — than women’s hair thinning, and it’s generally equated with middle-age or older. The fact is that many of us will notice our hair thinning by our late 20’s to early 30’s. This can be a consequence of genes, stress, pregnancies, surgeries, and more. The interview below was conducted with a young woman who noticed this happening on her own head in her mid-20’s, and she decided to do something about it. Below the interview you will also see a few tricks to help with the appearance of thinning hair. My advice is to fuss with your hair as little as possible, including coloring and straightening, and if you feel that thinning locks present a serious problem for you, it’s not unreasonable to seek the advice of a professional. Above all though, do not be ashamed — it’s absolutely, completely and totally normal! For starters, become acquainted with your hair and how it grows. Curly Q&A: First of all, thank you for granting me this sensitive interview. Would you mind telling me how old you are right now? Jennifer: I am 31 years old. CQA: When did you first notice that your hair might be thinning, and how did it make you feel? J: In high school I had very thick hair that took forever to straighten. When I was 25 years old I began to notice that the shape of my hairline was changing — I was seeing a recession above my temples on both sides, as well as in the middle of my forehead. It became very noticeable to me when I straightened my hair that it was thinning. CQA: What did you do to confirm whether your hair actually was thinning? J: I decided to reach out to a male friend who worked at a hair restorative center to ask his opinion. He had gotten hair implants a few times, and offered to take a look for me. He said that my hairline looked normal to him, and that I should put it out of my mind, especially since stress actually will cause hair to fall out. I decided to stop thinking about it, and it didn’t really consume my thoughts again until 3-4 years later. CQA: Why did it resurface? J: It seemed to be getting worse, so I kind of freaked out and decided to see a dermatologist, which ended up being the best and the worst thing I had done up to that point for my hair. She was very cold to me, and when she delivered the news that her visual inspection caused concern, I broke down crying hysterically. The dermatologist went on to explain that the first step would be to do a blood test to see how my levels of iron, vitamin B6, and thyroid function were. She said that one possible solution, if I were lacking in any of these areas, would be to try adding more vitamins to my diet. If the blood tests came back normal, I could request a scalp biopsy to rule out alopecia. CQA: What were the results? J: My blood tests showed no vitamin deficiencies, but I still decided to supplement my diet with gelatin pills and more meat because I read that these things could help. I then requested the scalp biopsy so I could find out once and for all what was going on. The dermatologist harvested a small sample from my scalp, which (she claimed) “was the most obvious,” and took a patch of skin about 1″ in diameter. About 5 days later, she left a voicemail for me telling me that I do show signs of Androgenic Alopecia, the most common type of hair loss in women, which is a result of higher levels of a particular male hormone in the body. Immediately I broke down crying and shortly after I went into a depression. I spent all of my spare time researching female hair loss on the internet, and would even find myself staring at the scalps of other people to look at their follicles. I began to notice many women who also showed signs of hair loss and realized this was more common than I thought. CQA: Did you have anyone to support you? Before (left) and after (right) using Rogaine. J: I called my male friend who had experience in this, and asked to speak with his doctor. I really did not connect with the dermatologist that I saw originally and wanted to talk to someone that I felt like I could trust, and who was on my side. I began seeing a trichologist who worked at a hair restoration center, and felt better immediately. He sat down and listened to me, and spoke to me about options. He also explained that the findings from my scalp biopsy was more a matter of opinion than fact since it’s not an exact science. 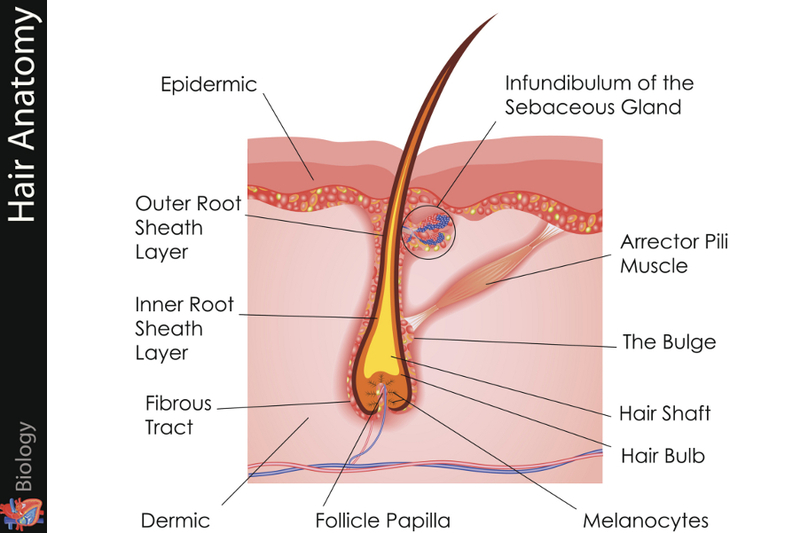 There are parts of the scalp that will naturally exhibit smaller hair follicles, and that’s what they are looking for under the microscope to confirm you have alopecia. The main thing to consider was that if I did have alopecia, and any follicles closed up entirely, there is no way to re-open them. Through the use of topical medicines like Rogaine, though, hair follicles can be expanded to allow thicker strands to grow in, giving the appearance of more hair. I think that’s the biggest misconception about Rogaine; people think that it regrows hair, but it doesn’t. It helps you keep what you have and make the hair grow stronger and thicker. That’s why if you think you are definitely losing hair, it’s better to start using Rogaine sooner than later, because once the follicles close you can’t re-open them. CQA: Interesting, I didn’t know that that’s how Rogaine works. Did you notice a difference? J: I’ve been using it for 4 months, in addition to the gelatin pills and additional protein in my diet, and I have noticed an enormous difference. At first I was losing hair at a very alarming and very embarrassing rate, since Rogaine works by shedding thin hairs at first and then re-growing thicker ones. My friend doesn’t think that the Rogaine is the only thing to credit since it doesn’t usually work as quickly as it has for me. Reduced stress has probably played a large role. CQA: How have you felt physically, with all of these changes? J: The gelatin pills upset my stomach, so I cut back to one a day instead of two. I think I may have gained weight because of this as well, but I can’t be sure. The doctor assured me that there are no serious side effects of Rogaine, and told me that it was originally used in pill form as a heart medicine for women, so you may get lower blood pressure as a side effect, but they also noticed that women taking it were starting to grow facial hair! So, as I said before, it won’t create new hair follicles or re-open closed ones, but if you grow a little hair somewhere other than on top of your head, it will probably get thicker there. On the plus side, my eyebrows look great! CQA: Wow, this has been such an educational conversation, I feel like I was with you through it all! Thank you so much. Are there any final words of warning or encouragement that you’d like to share? J: Yes. I want to say that if any of this resonates with you, go ahead and do the tests and talk to doctors. And if it turns out that you do have alopecia, give yourself a few days to dwell on it. If it’s upsetting, let yourself feel upset. But then, after a few days or a week, STOP. I was finding myself becoming obsessed, staring at random people on my commute and in meetings at work — it was too much! It turns into a type of madness. The doctor’s last words of advice were to stop stressing out, because that was going to counter any steps we were taking to remedy my hair loss. I gave myself 5 months to try all of the things I mentioned: diet, vitamins, and Rogaine; and promised that I wouldn’t think any more about it during that time. It’s been 4 months and I’ve made such amazing strides! I’ve even been getting compliments on how full my hair looks. If I stop using the Rogaine I’d likely go back to the same problem as before, but I will re-visit that when I need to. In the meantime, it just feels like a huge weight has been lifted. * Participant’s name has been altered to protect her identity. As promised, here are some quick tips if you feel like your hair is thinner than it used to be, but like me, are not worried about long-term effects. It helps to look at your mother’s and father’s hair and to compare notes. My mother’s hair thinned in the same areas as mine has at 30 years old, but it hasn’t gotten any worse, so I’m not worried. If I ever feel like I should be concerned, though, I won’t hesitate to visit a specialist! 1) Put a dime-sized dab of conditioner on the tips of your fingers and massage it into your scalp. Use more if scalp feels especially dry. This will “fill out” the area between follicles a bit more, and ruffling the cuticles at the roots will make them look more voluminous as well. It’s also good scalp care. 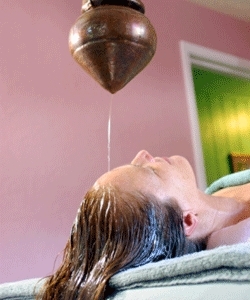 2) Spray or sprinkle some dry shampoo on your scalp, only at the roots. Let it sit for a few seconds, and then ruffle hair at the roots. Do not rustle or apply to the middle or ends of hair strands. 3) Supplement buns with those silly donut things, they are easy to use and really work! 4) Pin bangs to the side. This works best if you have shorter layers in front, but it can also work with longer hair. Instead of pulling all hair straight back into a pony or bun, take an inch-wide section of hair and bobby pin it to the side along your hairline with the least amount of coverage. Take the rest of the hair and put it up as usual. 5) Accept it! If it’s not causing any problems and you’ve never noticed hair loss before this post, guess what? You’re normal. If you have noticed it before and are getting worried, guess what? You’re also normal! We all have different genetic make-up and we’ve won a genetic lottery of sorts by getting a chance to live life at all. Focus on what matters most, and don’t stress the rest! Katrina: Thank you for the compliment! The only physical challenge I would say about maintaining my natural hair versus a relaxer or extensions is that I have to wet, condition and comb through my hair every day or every other day at the least because it tangles very easily. Otherwise, my hair is really easy to maintain because I pretty much wash and go. CQA: What are your favorite products, and what do you use them for specifically? K: I’ve tried a lot of products as I am sure most curly hair girls have. I really like the Ouidad products, especially the conditioner. These products are designed for curly hair. I also love Carol’s Daughter hair milk, it’s a leave-in cream with oil in it but it’s not oily. I like my hair to feel free so I look for products that are moisturizing without being oily. I also like Argan oil, but not too much, and if I put Argan oil in my hair I don’t use any other creams or oils. I also like Phyto products; especially the hair mask, which is only used once a week. CQA: Do you have any particular styling tips? K: The styling tip that works for me is to always apply product when hair is wet and never dry your hair upside down with a towel because this creates frizz. I use a towel to dry the ends of my hair. Once it’s dry, then you can flip it so your hair is not sticking to your head; you can lift the roots that way. CQA: How often do you do oil treatments? Do you have any favorite types? What is your oil treatment method? K: I have done oil treatments but not every week. I like Phyto hair mask as an oil treatment. I have also heard of girls that use mayonnaise, egg yolks and avocado as an oil treatment. I haven’t tried that, but since I’m always looking for inexpensive ways to treat my hair, I just might! CQA: I love your hair cut! How often do you cut it, and do you have a favorite salon/hairdresser? Do you cut it dry or wet? K: Thank you! I cut my hair when I feel that it needs it. I like the way that Rayna at Cutler hair salon in Soho cuts my hair; she understands curly hair. I’ve also had it cut at a local Dominican Salon in Florida and they did a good job. I’ve had it cut wet and dry and I would say dry is definitely better because you can see the shape of the hair. CQA: Curly hair can so often be used as a sociopolitical statement. Have you ever felt that you were treated differently because of your naturally curly hair? K: Yes, there is one situation that stands out in my mind. I’m a model, and I was on a very high end hair job; the hair stylist that they flew in all the way from Paris kept complaining about my hair. Keep in mind that I had gone on a casting and 2 callbacks for this job, and my hair had been thoroughly inspected and fine-tooth combed (no pun intended) for me to get this job. I was also chosen out of about 50 girls, so the client was very sure about me. This “big shot” hair stylist kept saying, “You have a tough head of hair!” and she kept going on and on about how she doesn’t use products and in Paris they don’t use hair like this for hair jobs. She had also written a “hair book” and in this book there was not one curly-haired girl. I thought to myself, “Some hairdresser, she doesn’t even acknowledge curly hair! How can you call yourself a hair stylist and not include every type of hair under the sun in your book! !” Anyway, I just smiled and thanked God that I was blessed with curly hair that I was being paid to advertise. CQA: She was obviously jealous. 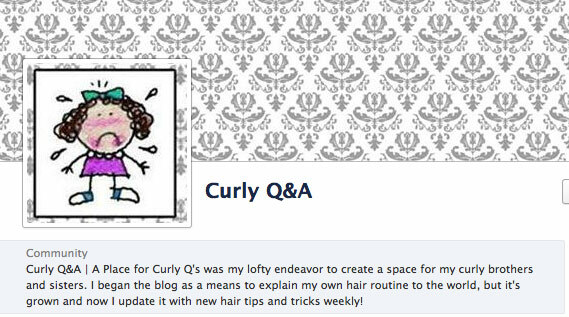 Are there any other tips or tricks that you’d like to share with Curly Q&A readers? K: I would like to add that on my off days I like to wash my hair, put product in, and keep it in a braid. When it dries and I pull my braid out, it’s beautiful and wavy! Whether you are born with straight or curly hair, embrace what you’re blessed with!